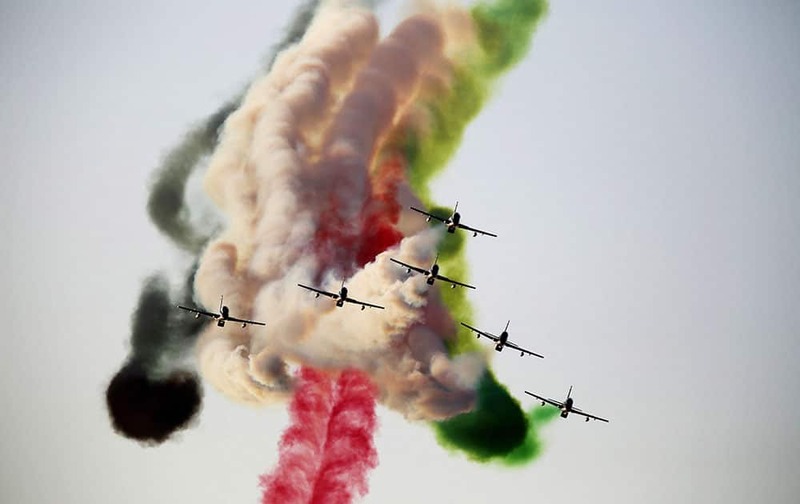 The Al Fursan aerobatic team of the United Arab Emirates air force performs a stunt at the World Air Games in Dubai, United Arab Emirates. 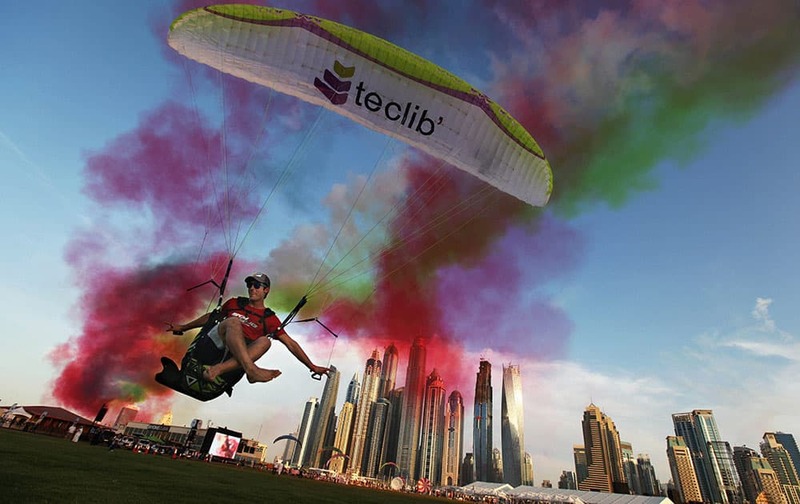 Paraguilder Ragolski Francois, 28, of France takes a practice run and leap just after an aerobatic team raced by at the World Air Games in Dubai. 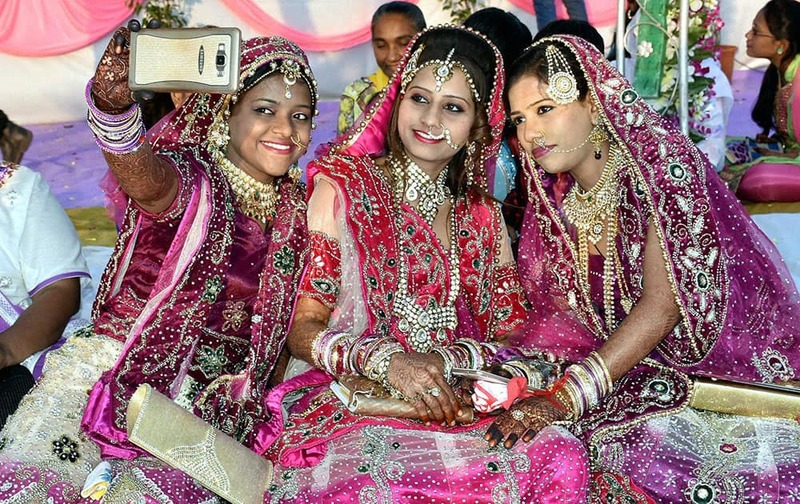 A Brides takes selfie at mass marriage ceremony in Surat. 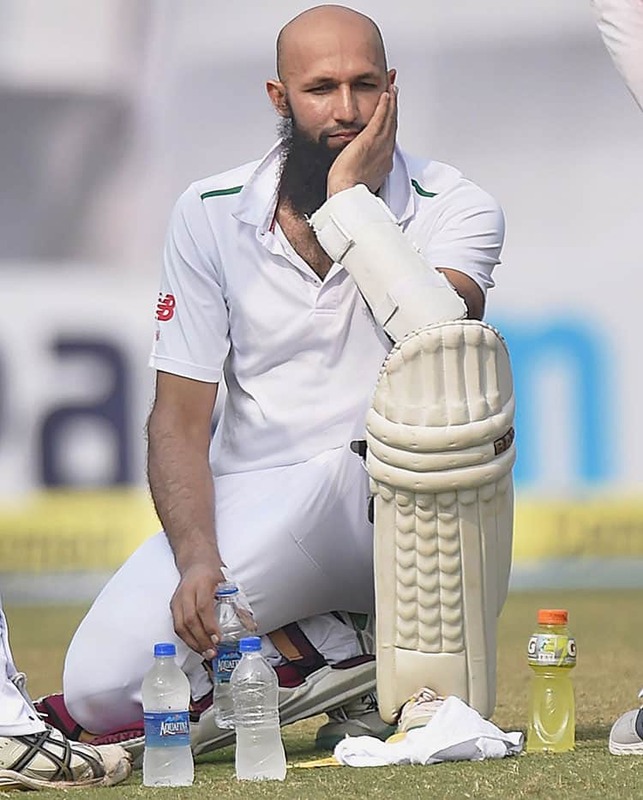 South African batsman Hashim Amla on day four of fourth and final test cricket match against India in New Delhi. 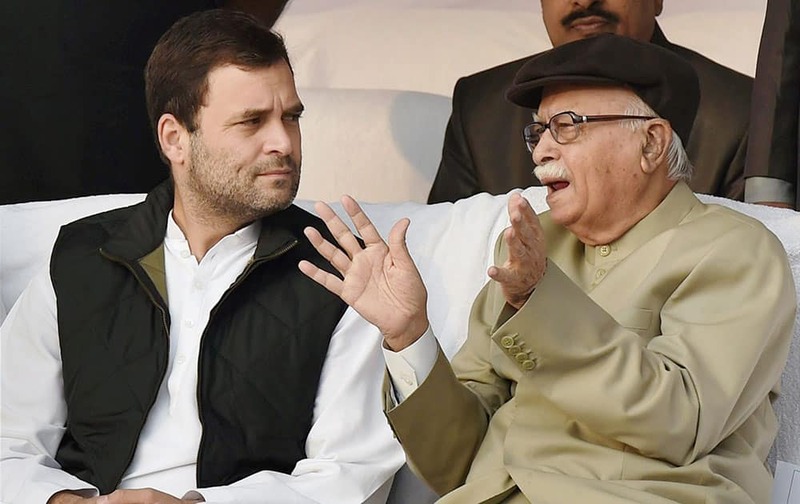 Congress Vice President Rahul Gandhi and BJP Senior Leader L K Advani on the occasion of Bhimrao Ambedkars ‘Mahaparinirvan Diwas’ at Parliament House Lawns, in New Delhi. 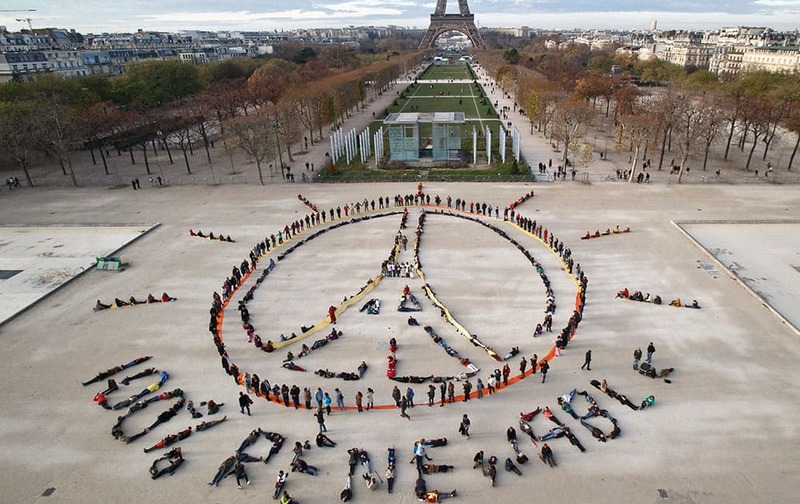 Environmentalist activists form a human chain representing the peace sign and the spelling out 100% renewable, on the side line of the COP21, United Nations Climate Change Conference near the Eiffel Tower in Paris.